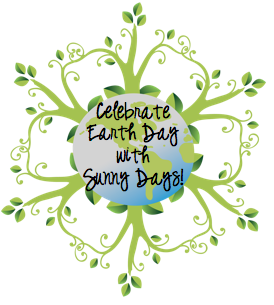 Ms. O Reads Books: Earth Day's coming up! 1) Here Comes the Garbage Barge! is my favorite book to share, hands down. The art is cool and it is a true story! A very ... visual reminder of the need to reduce and reuse. Dunno this librarian but I love this idea. Thinking we may have to make our own version! Also ... my students would agree with the statement about the Statue of Liberty. 2) I don't have any cool pictures that exemplify this (Note to self: TAKE MORE PICTURES. And keep track of where you save them better!) but I will share that I started a Terracyling program in our school for empty chip bags and drink pouches. To date we've saved over 12,000 drink pouches and 7000 chip bags from landfills. Terracycle takes the materials and turns them into cool folders, bags, kites, etc. We do get a little $$$ for it and I spend it on new "green" themed books or prizes for various collection contests. 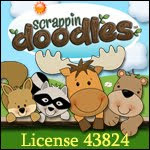 3) I got this activity from Amy Lemons on TPT. The Earth Day table numbers are going out tomorrow and then maybe the different craftivities and such will be rolled out over the rest of the month. Different grades will do different versions of them. ABC order, sorting games, and some other research activities that I'm still mulling over. This is sort of my preview post. Won't know exactly what we're doing until it's all done! 4) Other books, you say? Oh, yes. Curious George Plants a Tree, Charlie and Lola We Are Extremely Very Good Recyclers, What Can You Do With an Old Red Shoe?, I Can Save the Earth!, and then several different Pebble Plus non-fic titles for the little ones, and a couple of the Protecting Our Planet electronic titles from PowerKids press for the older kids. What exactly will we do with them? Not sure yet. Trying to convince fifth grade to do an alternate energy research activity. I WILL CONVINCE THEM! 5) If you google (or look on your library shelves) you will find lots of upcycled art activities that during this time of year (when everyone is tired and stressed from testing and using all the computer labs so you can't integrate much in the way of technology--except for a couple SMART board activities that I might post later) are kind of fun. We've made pencil boxes out of cereal boxes, Dr. Seuss characters from TP tubes, birds from scrap cardboard, and collaged all sorts of different Crystal Light or chip containers. Note to everyone ... watered down Elmers works just as well as Modge Podge! 6) Here's a Sesame Street playlist on recycling. Some of them are pretty funny! 7) Just a reminder ... printable bookmarks here! I'll work on taking some pics and then do a recap in May. Later this month I'll post about some worm activities we also do. I tell the kids I can totally do reducing and reusing but composting? It's still a little beyond me at this point. Too gross. But I'm working on it!